As promised, Digital Sisterhood Network (DSN) is continuing its Crowdfunding 101 Blog Series in preparation for the upcoming Blogalicious Weekend Conference panel discussion on CrowdFunding: The Financial Backing for Your Project Is at Your Fingertips! that will take place on Friday, October 4 from 5:30 p.m. to 6:30 p.m.
Part One of the Crowdfunding 101 Blog Series provided an overview of crowdfunding. Part Two discussed Leeke’s crowdfunding journey with Kickstarter. 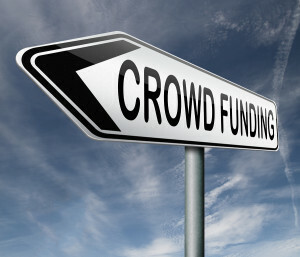 Today’s blog offers a crowdfunding campaign checklist and tips for setting up a campaign. They incorporate the lessons she learned with her two Kickstarter projects and best practices she identified while supporting and studying other successful crowdfunding campaigns. They are also based on excerpts from her upcoming book, Digital Sisterhood: A Memoir of Fierce Living Online. Now that you know more about crowdfunding and Ananda Leeke’s Kickstarter journey, we thought you might like a checklist and tips to help guide you through the process of developing your own crowdfunding campaign. See below. 1) PROJECT DESCRIPTION: Describe your crowdfunding project in 140 characters or less. Give it a name that sparks interest. You will be able to use this short description as a springboard for writing your full campaign description (narrative or story). 2) FUNDING GOAL: How much money do you want to raise? 3) FUNDING PLEDGES: What types of pledges are you seeking to receive from donors ($1, $5, $10, $20, $30, $40, $50, $75, $100, $200 or more)? 4) CROWDFUNDING MODEL: What type of crowdfunding model works best for your project: fixed funding or flexible funding? 5) CROWDFUNDING PLATFORM: What crowdfunding platforms are best suited for your project (GoFundMe, Indiegogo, Kickstarter or others)? 6) CROWDFUNDING PROJECT BEST PRACTICES: Identify five or more examples of similar crowdfunding projects. Watch the campaign videos. Read the campaign descriptions. Check out the pledge amounts and types of rewards. Review any updates that were sent to donors. Take notes on what you like or dislike. 7) CAMPAIGN LAUNCH DATE: When will you launch the crowdfunding campaign? -Can your launch date be tied to a major awareness event or during a month when you think your audience will be more interested in supporting you? -Will you launch the campaign with a special online event (Google+ Hangout video chat or Twitter chat) or offline event (meet up)? 8) DURATION OF CAMPAIGN: How long will you run the campaign (number of days you will use to raise the funding)? 9) CAMPAIGN TEAM: Who will help you manage the campaign (interns, social media enthusiasts, marketing/PR professionals or volunteers, family members, and friends). 10) CAMPAIGN COMMUNITY (AMBASSADORS AND DONORS): Who are the members of your campaign community? -Make a list (use an Excel spreadsheet) of your blog readers, email list members, e-newsletter subscribers, Facebook fans, friends, and group members, Google+ friends, Instagram followers, LinkedIn members, Pinterest followers, Twitter followers, and YouTube and Vimeo subscribers, and other social networking site friends. -What organizations and groups do you belong to? Do you have the contact information for the organizers and the group members? 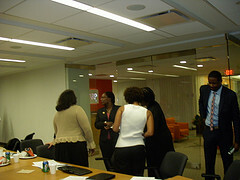 -What conferences or events do you regularly attend? Do you have the contact information for the organizers and the people you have met at the events? -What groups of people will be interested in your campaign? Do you have the contact information for the groups (web site, email address, Facebook, Google+, LinkedIn, Twitter, and other sites)? -Your campaign community members are your donor base. Ask them to donate to your campaign. -Your campaign community members are also your potential ambassadors for your campaign. Ask them to share your campaign information, social media, and video with people in their online, email, and offline networks. 11) YOUR CROWDFUNDING CAMPAIGN FULL DESCRIPTION: Why is your campaign project needed? How will your campaign project make the world better? What makes you the person to lead your campaign project? How do you plan to spend the money once you have raised it? 12) CAMPAIGN REWARDS: How will you thank your ambassadors and donors for supporting your campaign? What rewards will you offer your donors? -Research the rewards offered by other crowdfunding campaigns. -Develop a list of 10 creative and personal rewards you can offer. -How much money will it cost you to deliver the rewards (factor in shipping and packaging fees)? 13) CAMPAIGN COMMUNICATION AND OUTREACH STRATEGIES: What tools will you use to communicate with your audience? Are you going to create a video or use any photos (I say DO BOTH!)? -Identify where your audience members spend their time online. Hopefully, you have established an online presence on the sites. -Use Facebook, Google+, Instagram, LinkedIn, Pinterest (create a board for your campaign), Tumblr, Twitter, Vimeo, and YouTube to promote your campaign, drum up positive media coverage from bloggers/e-zines/magazines/newspapers, and recruit new campaign community members (ambassadors and donors). -Brainstorm ideas for your videos. How will you make your videos (web cam flip camera, phone camera)? Where will you record the videos? Who will help you make the videos? Will you use any music or photos in the videos? You may want to do three short videos (one to three minutes) during the campaign. The first video could be used as your pitch video (two to three minutes). Your pitch video tells your story. Watch five to seven pitch videos created for successful campaigns. Make note of why you like them. Try to incorporate some of their best features in your video. The second video (one to two minutes) could be a status update about the campaign which includes shout outs to campaign ambassadors and donors (one to two minutes). The third video could be a final thank you to your supporters. -You may want to prepare a short script for your videos. Keep your script simple and easy to understand. Practice what you will say several times. Record three sample videos and ask several people to critique your presentation. -When you record your video, make sure you wear clothing (and hairstyle and make up) that compliments you. You want to look relaxed, down-to-earth, and friendly. Have fun! -Create an editorial calendar and sample posts that you will use throughout the campaign. Include dates for submitting press releases about the campaign (status updates with any successes). -To make the lives of your campaign ambassadors easier, send them sample posts or tweets that they can share with their networks. 14) ADDITIONAL CAMPAIGN FUNDING SOURCES: Will you use PayPal.com to collect donations from donors who may not want to use your crowdfunding platform? Will you accept cash and personal checks from donors who may not want to use PayPal.com or your crowdfunding platform? 15) CELEBRATING YOUR CAMPAIGN SUCCESS: How will you celebrate your campaign’s success? Will you host an online event (Twitter chat or Google+ Hangout) or a local event (open house, meet up or happy hour) in your city or town? Will you send a video thank you, email thank-you notes, or mail personalized thank you notes? 16) POST CAMPAIGN OUTREACH: How will you keep in touch with your campaign community of ambassadors, donors, and supporters? Will you send them monthly or quarterly updates via email or an e-newsletter? Will you post a series of updates on your campaign update page, blog, or Facebook page? 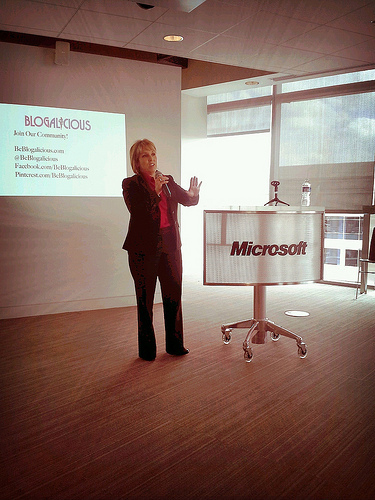 During the Blogalicious Tech Summit that was held on April 18, 2013, at the Microsoft Innovation and Policy Center in Washington, D.C., Congresswoman Michelle Lujan Grisham of New Mexico discussed the importance of making sure women caregivers have the resources they need to provide the best care possible to their loved ones. Congresswoman Grisham personalized her comments when she shared several stories about serving as her mother’s primary caregiver. Her stories reminded me of how important it is to provide women caregivers with online resources and tools they can use to support their self-care and loved ones. If you are a caregiver or have family members, friends, or colleagues who serves as caregivers, please encourage them to visit AARP’s Caregiving Resource Center. The web site has great articles and tips that caregivers can use to support their wellness journey as they care for their loved ones. See several links below. 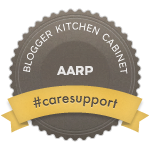 FYI – You can now access AARP’s Caregiving Resource Center on your iPad! 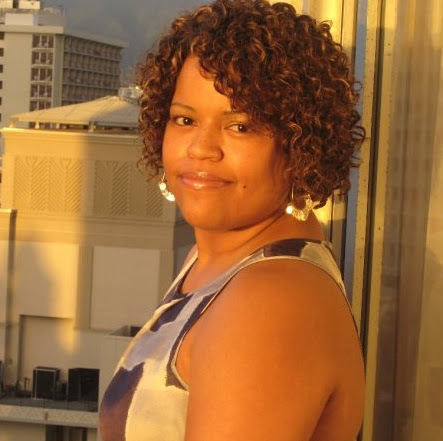 The Digital Sisterhood Network is pleased to announce that Yolanda Arrington, digital media producer and founder of Witches’ Brew blog, won a free pass to the Blogalicious Weekend Conference by writing a fantastic short essay about her reasons for wanting to attend. The conference will be held on September 28-30, 2012, in Las Vegas, Nevada. Make sure you follow Yolanda’s #Blogalicious12 tweets this week: http://twitter.com/iamyolanda. Great News! The winners of today’s #DigitalSisterhood Wednesday Free Blogalicious Weekend Pass Contest are Vaneese Pattman, founder of Mommy Works A Lot blog and April D. Thompson, founder of The Absolute Travel Addict blog. As many of you know, the Digital Sisterhood Network (DSN) is a media partner for the Blogalicious Weekend Conference that will be held on September 28-30 in Las Vegas, Nevada. That’s why DSN is sponsoring a FANTASTIC contest. See below. If you want to attend the Blogalicious Weekend Conference, we invite you to participate in the #DigitalSisterhood Wednesday Free Blogalicious Weekend Pass Contest on August 15. Here’s what you need to do. Post your reason for wanting to attend on Digital Sisterhood Network’s Facebook Page on AUGUST 15 between 8:00 a.m. ET to 10:00 a.m. ET: www.facebook.com/digitalsisterhood. Write from your heart! Your entry will NOT be eligible if you post before August 15 at 8:00 a.m. ET or after August 15 at 10:00 a.m. ET. 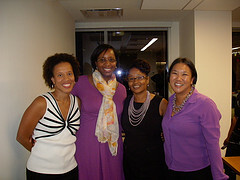 You must use Facebook and post on the Digital Sisterhood Network’s Facebook page: www.facebook.com/digitalsisterhood. Ananda Leeke will review the posts and select two winners. Their names will be announced on August 15 via Facebook and Twitter. FYI – The conference passes only cover the cost of the conference registration. Visit beblogalicious.com for conference information. Blogalicious is one of our favorite conferences and communities to support! It’s the place where #DigitalSisterhood Wednesday, a weekly Twitter celebration for women in social media and tech, was launched in 2010! Today, Stacey Ferguson a/k/a Justice Fergie, Chief Curator and Co-Founder of Blogalicious, notified the blogasphere that the web site has a new look. Click here to check it out and meet Team Blogalicious. We love the new site, especially the photo slideshow on the main page. It celebrates four years of bold, brilliant, and beautiful women, men, sponsors, and media partners who make up the Blogalicious community! Also, make sure you read the blog to stay updated on all things Blogalicious! The Blogalicious #BeUplifted Twitter Chat Summer Series returns with Kety Esquivel, an amazing digital sister and Blogalicious 12′ keynote speaker on July 18 at 9:00 p.m. ET. Kety will be sharing her perspective on thought leadership. Follow the hashtag #BeUplifted and @beblogalicious, @ketye, and @justicefergie. Blogalicious Meet Ups will be held in Dallas on July 17, Washington, DC area on August 11, and in Los Angeles in August. 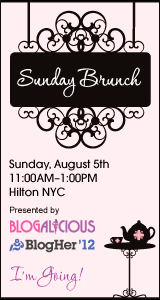 Digital Sisterhood Network will be heading to BlogHer to attend the Blogalicious Sunday Brunch on August 5. It’s gonna be fun to see all of our Blogalicious digital sisters in person! We are gearing up for the Blogalicious Weekend Conference in Las Vegas on September 28-30. We are going to our fourth conference as a media partner! The theme is “Make It Personal.” Click here to register. PS: Ananda Leeke, Digital Sisterhood Network founder, will be speaking at the Blogalicious Weekend. Stay tuned for more details! 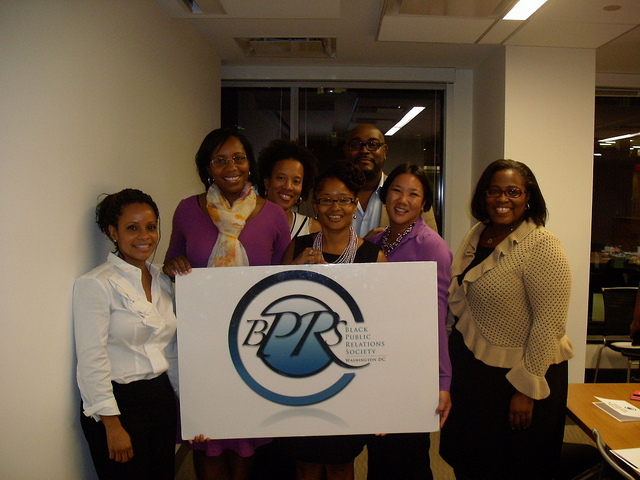 The Black Public Relations Society DC (BPRS-DC) and Hager Sharp, a DC-based public relations firm, hosted BPRS-DC Fall meeting on September 20, 2011. It featured a Blogalicious panel discussion on ways to merge traditional media tools with new media concepts in order to augment results and maximize message penetration in the digital age. Ananda Leeke, founder of Digital Sisterhood Network, innerpreneur, author, artist, coach, and yoga teacher. Click here to see more event photos. Watch event videos (very short) below. Check out the Twitterstream from the event below. 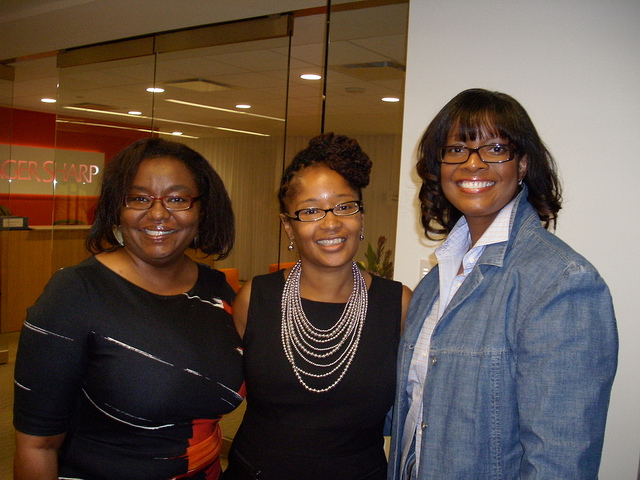 @beblogalicious — It was a pleasure hosting your panel discussion for @bprsdc at @hagersharp last night! Kudos! We earned a lot! @BPRSDC It was our pleasure!! I learned a lot from @beblogalicous! cshantelcooperBranding & Sponsors for the #blogalicious11 conference are numerous! 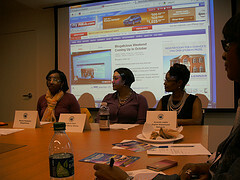 Great kickoff mtg for @BPRSDC with #blogalicious11 panelists. BPRSDCExcellent tips from @beblogalicious! Thank you to our host, moderator, panelists and members. Blogalicious isn’t a Black or Hispanic or minority conference. It’s a conference about diversity. Our host Kim Varner of @hagersharp welcoming BPRS members to the annual fall meeting.